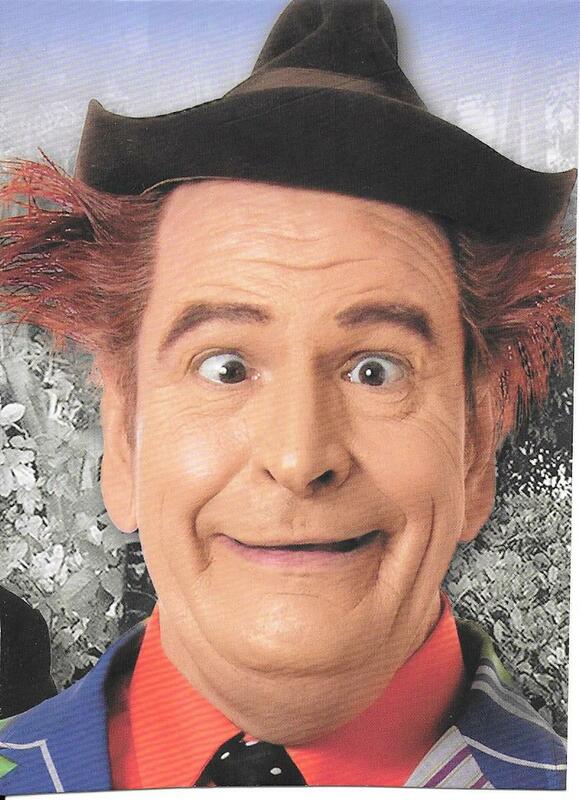 Ben Hoffman's Tribute to Red Skelton is an awesome theater show you've got to see! You'll be rolling in the isles with laughter as this character comes alive on the Rocky Top Theater stage with funny skits, silly jokes, and all the great things Red Skelton and his show was about! This is a show filled with pure clean fun for the whole family! A beautiful tribute is given to those in the audience who served in Vietnam war. This show also offers an opportunity to learn more about this legendary comedian and see artwork that were painted by Red Skelton himself! Matinees and evening shows are available or this "state of the art" performance! "We're all going Country Tonite!" This theater show's theme song seems to say it all! Country Tonite is an award-winning show filled with comedy, lots of country, and gospel music, plus a whole lot more. The children in the show are amazingly talented, as well as the rest of the cast! If you're coming to the Smokies, ya gotta go COUNTRY TONITE!!! 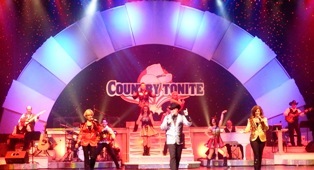 Country Tonite celebrates 20 years of fabulous shows in the Smokies! It's a new show featuring new choreography, music, lighting, comedy, and colorful new costumes! Smoky Mountain Opry is dancing, singing, comedy, live animals (like tigers and lions,) patriotism, and gospel praise all rolled into one! The spirit of the mountains comes alive in colorful array for one of the best performances in the area! 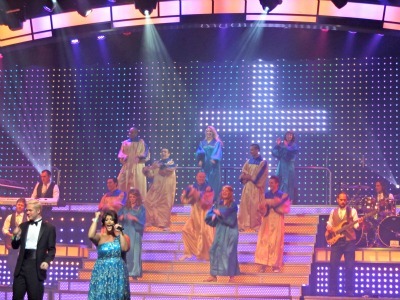 This high energy theater show is filled with electrifying entertainment with music from inspirational gospel to the blues, country, rock, and more. Feel the music as it's brought to life through pyrotechnics, giant video screens, lighting and sound! Carol Glass Cooper does an excellent performance of the legendary musician, Patsy Cline! This 2-hour show is filled with all those incredible Patsy Cline songs you remember so well. If you're a Patsy Cline fan, you'll have a wonderful time rockin' to some of this legend's biggest hits. 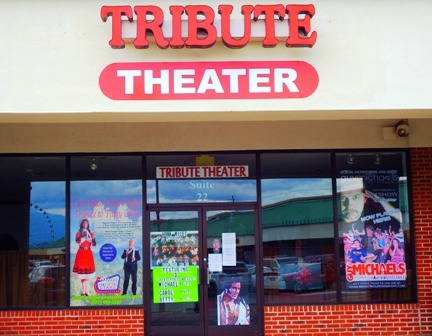 The Tribute Theater also recognizes other greats like Brian Hoffman as Red Skelton, Travis James with Conway Twitty, Peter Pavone pays tribute to Frank Sinatra & the Rat Pack, and more! Some of the Country's best Theater Shows are right here in the Great Smoky Mountains! 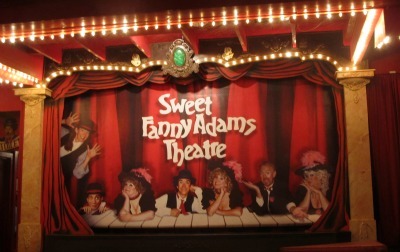 Sweet Fanny Adams is truly the "best" show in Gatlinburg! This small theater is home to some of the biggest talent in the Smokies! Multi-talented performers play their roles to perfection with lots of singing, dancing, and plenty of great comedy! When the show is over, the whole cast comes outside to meet their audience and pose for photos! The Patty Waszak Oldies & Variety Show will have you singing and toe-tapping from beginning to end. You'll love remembering the "good old days" singing along to old time favorites like Bridge Over Troubled Water, Johnny B. Goode, Annie's Song, Shake Rattle, and Roll, and a whole lot more. Remember the good old days? 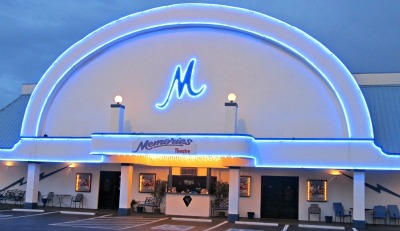 You'll get a real "Blast from the Past" at Memories Theater! 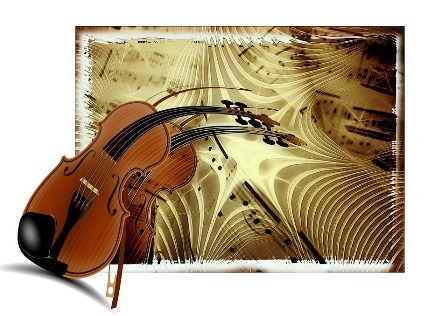 Travel down memory lane with music from the 50's and 60's! Relive those tunes made famous by folks like Elvis Presley, Michael Jackson, Hank Williams Jr, the Blues Brothers, and more. If you enjoy singing along with those "Oldies But Goodies" you'll have a blast singing along! Most all you'll know by heart, while others are sure to "jog" your memory. Wholesome family comedy is hard to come by these days! The Comedy Barn is good clean fun at it's best! There's lots of crazy stuff here you won't see anywhere else. The dog show is excellent! All the dogs were adopted from the animal shelter and trained especially for the show! You'll be mesmerized by their amazing tricks! There are jugglers, ventriloquists, twangy tunes, and some of the best doggone comedy you ever did see! This is one theater show you don't want to miss! Every member of the family is sure to love this unique show! 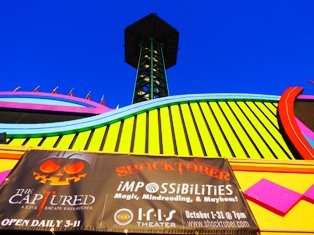 It's one of only two theaters in Gatlinburg Impossibilities, Magic, Mind reading, & Mayhem is located inside the Arcadia building just below the Space Needle! It's a "one-of-a-kind show that is sure to leave you mesmerized! There's comedy, suspense, magic, and lots of audience interaction! Have you ever had your mind read? This impossibility may be a real "possibility when you come to see the show. It's an exciting adventure you don't won't to miss. Take the family and enjoy a night of fun and laughter. These Pigeon Forge theater shows are some of the best in the country! From fine dining to excellent entertainment, it will be an enjoyable night of family fun you'll long remember!